SPECIAL - SAVE 20% + receive a Free matching Wallhanging Hoop! 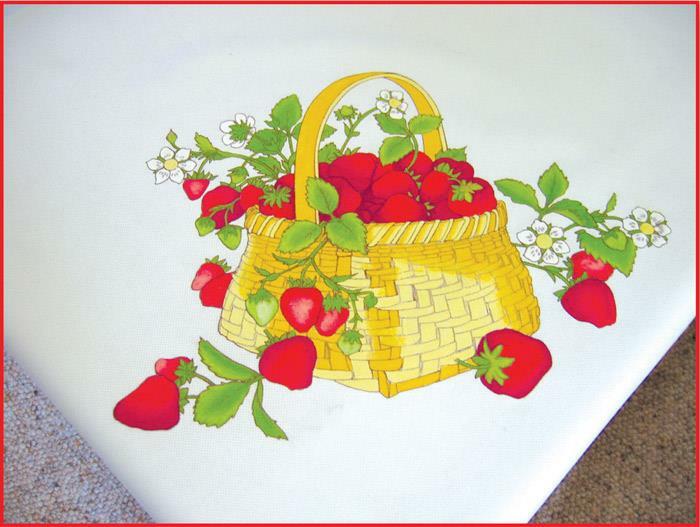 Delicious wild strawberries shown in a basket on each corner of this luxurious table cloth. Fully sewn and ready for painting. Pre-shaded on luxury white polycotton. Use a Blotter Sheet (1632) or Oval Hoop underneath the cloth when painting. Also available in a matching cushion cover (5670). SPECIAL OFFER expires 30th April 2019.